Today marked my first week of college. How was it? I SURVIVED. It almost beat the blue out of me! Combatting travel sickness, and I mean Taft traffic + distance + rain; ascending seventeen floors up when the elevator line’s anaconda long, guilty food trips between two hour classes, phew! College is overwhelming. Don’t get me wrong, I’m enjoying every minute of it. I had free cut today, so there came my first Happy Thursday (a ‘TGIF’ kinda term in La Salle). 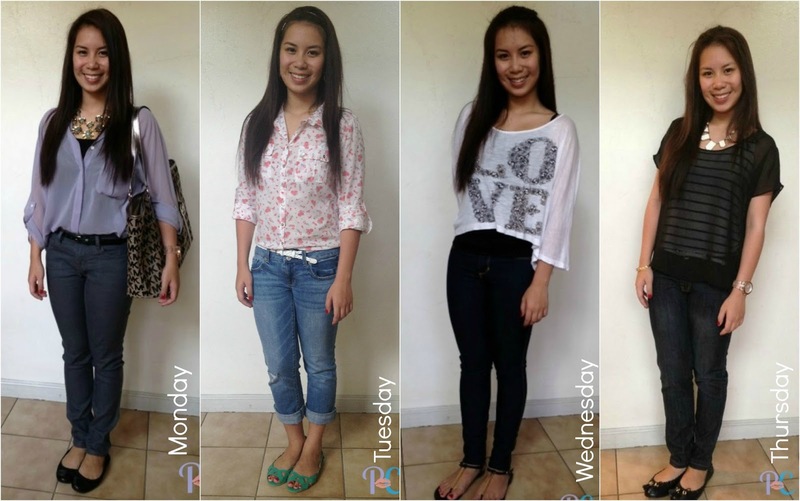 Every week, I’ll be posting my outfits I wore to school. Outfit planning can be a headache. I opt not to repeat clothes so I keep an “OOTDiary” to keep track! For my first week in college, I wanted to create a good impression. Yes, first impressions DO last! I opted for something simple; something breathable, flexible for sudden showers or blazing shine. I wore sleeves and pants for the entire week to keep myself covered and appear less of a shark’s bait to snatchers. It pays to be street smart!